Quick Exhibit Design Inspiration: D.O.T.S. I first became aware of D.O.T.S. 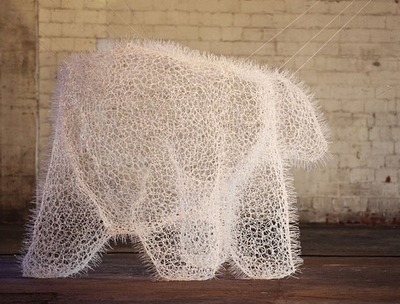 (which stands for Design Office Takebayashi Scroggin) from the image above --- a sculpture of a life-size polar bear constructed out of over 20,000 zip ties! You can check out additional images of the Massimal as well as other D.O.T.S. work on their website. Now where's that container of zip ties?